We’re happy to introduce two enhancements to Smart Detection in Application Insights, which automatically notifies you if your live web app shows performance issues. You will now get an automatic notification if your live web app dependencies slow down - for example, a database or REST API that your app calls. And you can click through from Smart Detection details to the profiler trace of an operation where the problem has occurred. 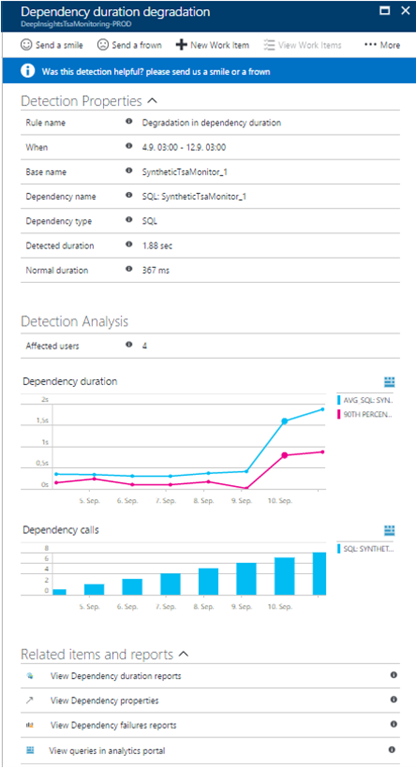 Smart Detection now detects degradation in duration of dependency calls. Web applications and modern services in general often rely on external services and platforms to power key scenarios. For those applications dependency calls, duration is a key factor in the overall application performance. Smart Detection will automatically notify you about changes in dependency duration compared to its historical performance. Supported for all dependency calls types. Learn more here. 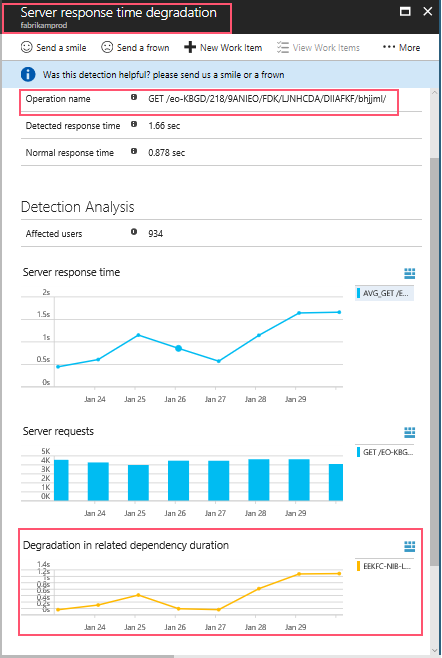 We also added an analysis of dependency duration to Server Response Time Degradation detections. So in case that degradation in operation performance is correlated to degradation in related dependent service performance, this information will be included in Detection Analysis section. Another new enhancement is the integration between Smart Detection and Profiler. 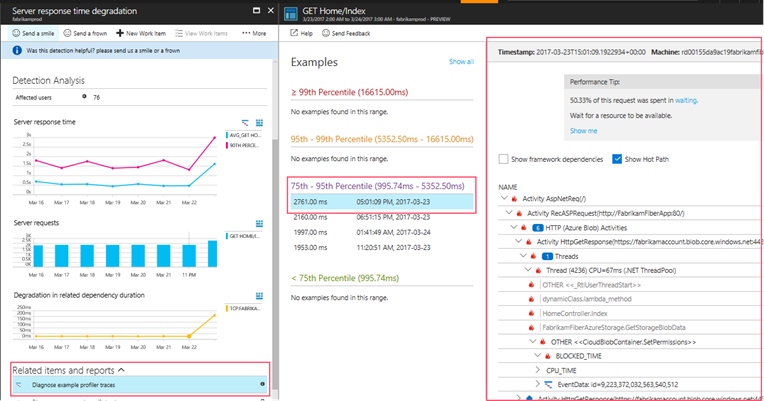 Sometimes the fastest way to find the root cause is reviewing trace examples collected by Profiler that show where the time was spent when executing a specific operation. Now you can view the relevant profiler examples by clicking on a link on Smart Detection details blade. Note: The link to view Profiler examples will appear only if examples were collected for this operation during detection period.